glimmer. shimmer. shine. Same great signature bone shape with just an added twinkle. 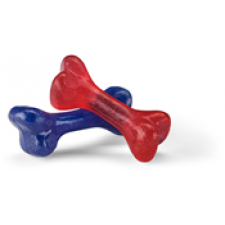 The Orbee® Twinkle Bone is perfect the puppy who likes a little give in his/her chew toy. Planet Dog rates this toy 3 out of 5 chompers.